Buckle up and explore one of the last great wilderness regions on the planet known as the Baffin Island. We travel to the wild east coast of Baffin Island, discovering deep fjords, soaring mountains and immense glacial systems. We visit the remote Inuit provide a fascinating glimpse into the daily life of the people who call this wilderness their home. The highlight of this trip will be a visit to Beechey Island, the final resting place of men of the ill-fated Franklin Expedition. 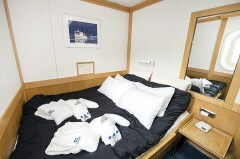 Capture a variety of birdlife and marine wildlife including the polar bears! 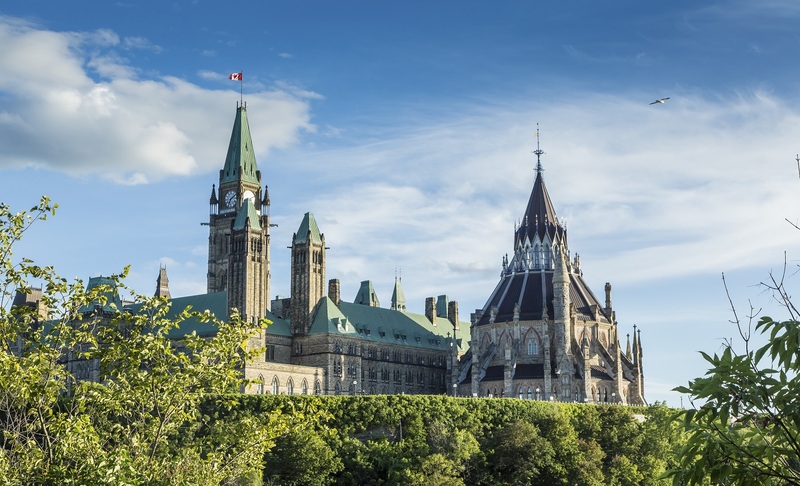 We depart Ottawa on our scheduled flight to Iqaluit, Baffin Island. Upon arrival into Iqaluit we enjoy a walking tour of the town and board our expedition ship, the Akademik Sergey Ioffe in the afternoon. Excitement is in the air as we enjoy a welcome cocktail and cast off to explore one of the most remote places on earth – Baffin Island. Situated in the Davis Strait, Monumental Island is a well-known location for walrus. We explore by zodiac along the shoreline looking for these fascinating creatures. We sometimes encounter polar bears around here as well – they have been known to chase walrus off their haul into the water. 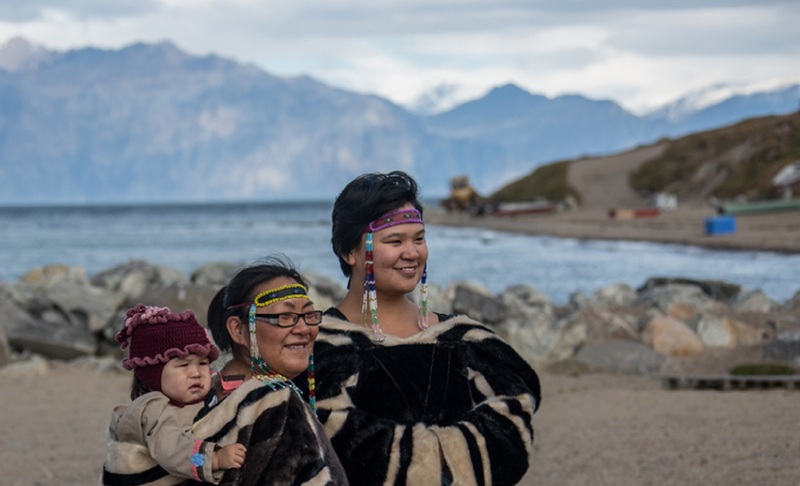 Nestled in the heart of Cumberland Sound and the western gateway to Auyuittuq National Park, the village of Pangniqtuuq (Pangnirtung) is beautifully situated between the mountains and the sea. This remote community is a well-known centre for traditional and contemporary arts and crafts – including carvings, prints and textiles. The Angmarlik Visitor Centre has a wonderful interpretive display sharing the lifestyle and history of the Thule and the modern Inuit. 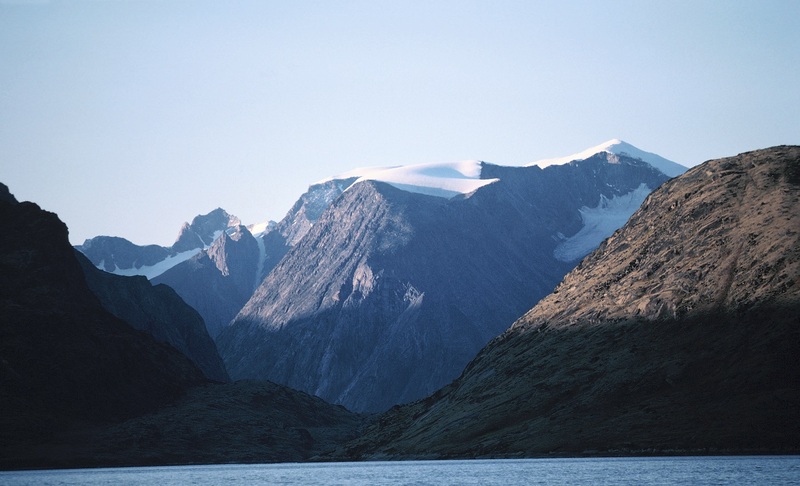 Sunshine Fjord straddles the Arctic Circle at 66 degrees, 33 minutes north of latitude. 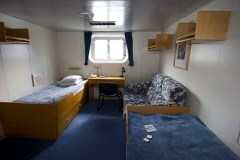 Depending on the weather, we might cruise across the Circle on the ship, by zodiac boats, or maybe by foot. Whichever way, it’s a thrill to be above the Arctic Circle. Sunshine Fjord offers terrific hiking opportunities, from long routes that offer wonderful views of our surroundings to less strenuous options along the shoreline. For the sea kayakers, the sheltered waters of the fjord provide great conditions for paddling. 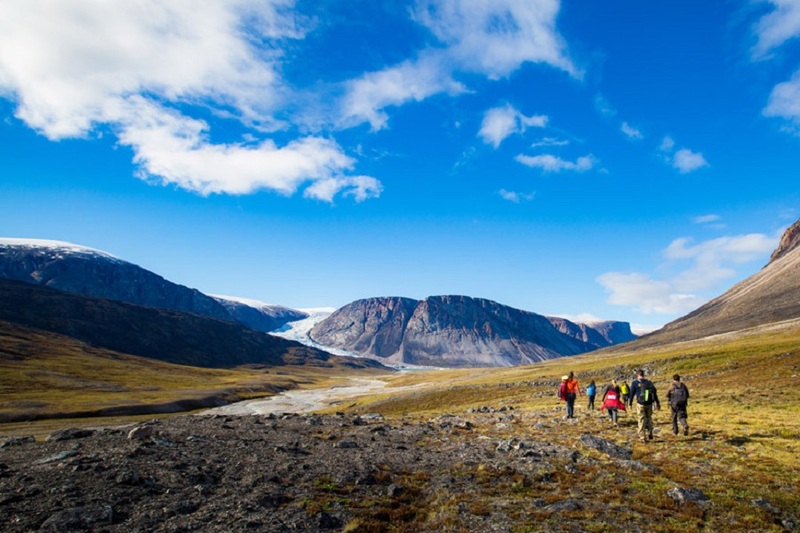 On the eastern coast of Baffin Island lies one of Canada’s most spectacular National Parks: Auyuittuq. The landscape is dominated by steep and rugged mountain scenery, extensive glacial systems and powerful rivers. 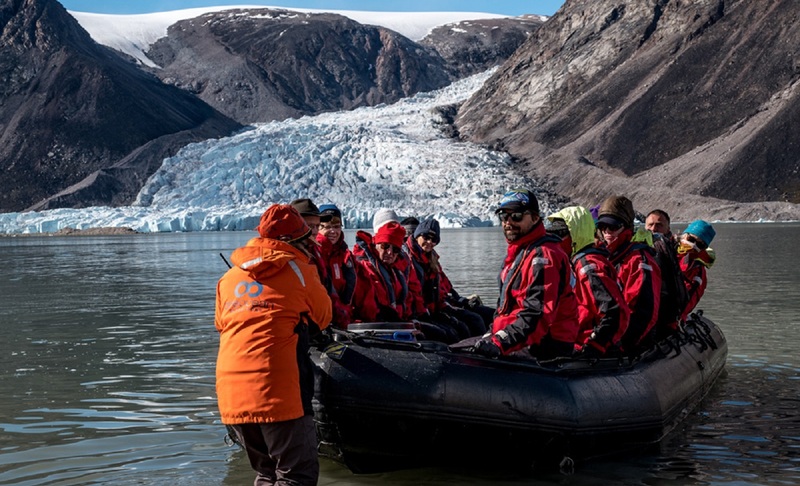 In partnership with Parks Canada, we venture into the park with skilled local guides who are able to interpret the flora, fauna, geological and glacial systems. It’s a fascinating place, experienced by only a few fortunate visitors every season. 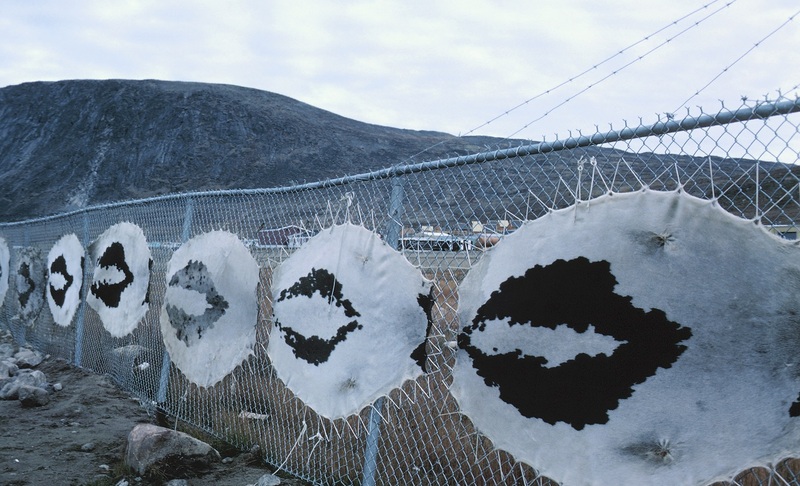 We also plan a visit to Qikiqtarjuaq, a small settlement which is home to several Inuit families. After an inspiring day of exploration we continue north along the coastline of Baffin Island, venturing deeper into the Arctic wilderness. 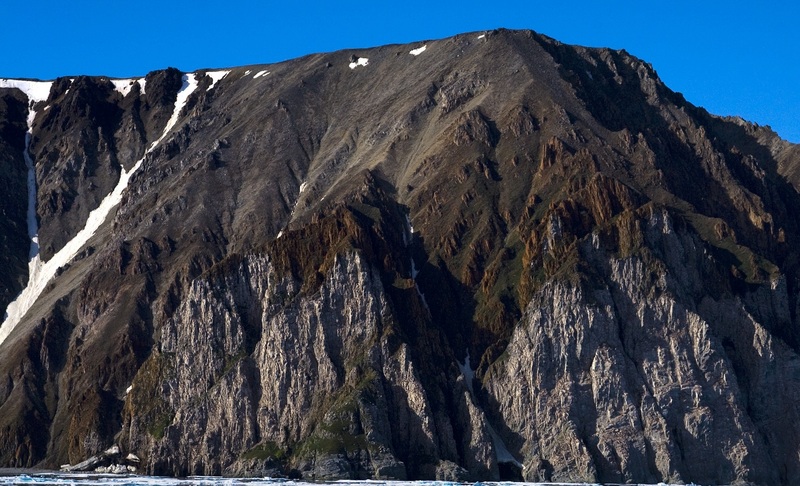 Isabella Bay (Niginganiq) is an important summer habitat and feeding area for endangered bowhead whales. These remarkable marine mammals are able to break sea ice with the crown of their head. 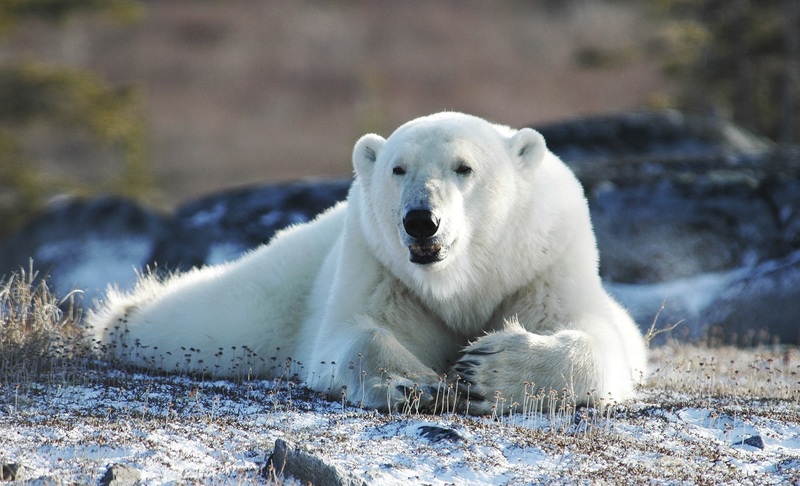 Polar bears, ringed seals, Canada geese, snow geese and narwhal are also commonly sighted in this area. This morning we enter the spectacular Gibbs Fjord with towering cliffs all around us. 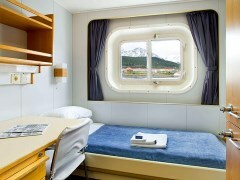 Our expedition ship will be dwarfed by the giant peaks and snowy glaciers as we cruise slowly along the dark waters. Nearing the far north of Baffin Island, we enter a broad channel which is home to the remote Inuit community of Mittimatalik (Pond Inlet). A highlight is a visit to the Natinnak Centre, where a fascinating cultural exhibit showcases the daily life, culture and history of the people of the North. Inuit carvings, jewellery and other traditional craft are on display. Mittimatalik is also the main access point to the pristine wilderness of Sirmilik National Park. This jewel in the crown of Canada's Arctic Park system features the most spectacular scenery, with rugged mountains, ice fields, glaciers, coastal lowlands and large seabird colonies. Leaving the wild landscapes of Baffin Island, we cross Lancaster Sound to Devon Island. Lancaster Sound, which separates Devon and Baffin Island, has been named the wildlife ‘super highway’ of the Arctic. Waters from the Atlantic Ocean, Arctic Ocean, and the northern archipelago of islands meet here, combining to create a rich source of nutrients and food for an abundance of Arctic wildlife. We plan on visiting the old Royal Canadian Mounted Police (RCMP) outpost at Dundas Harbour. 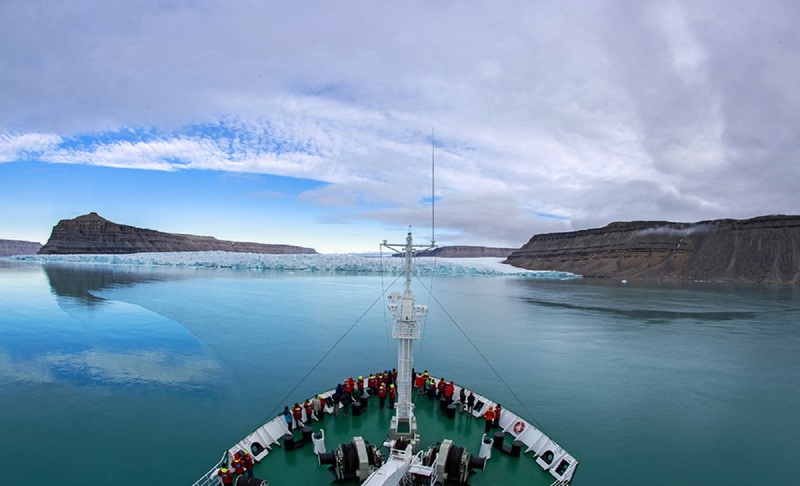 In the afternoon we reposition the ship into Crocker Bay, home to a substantial glacial system. 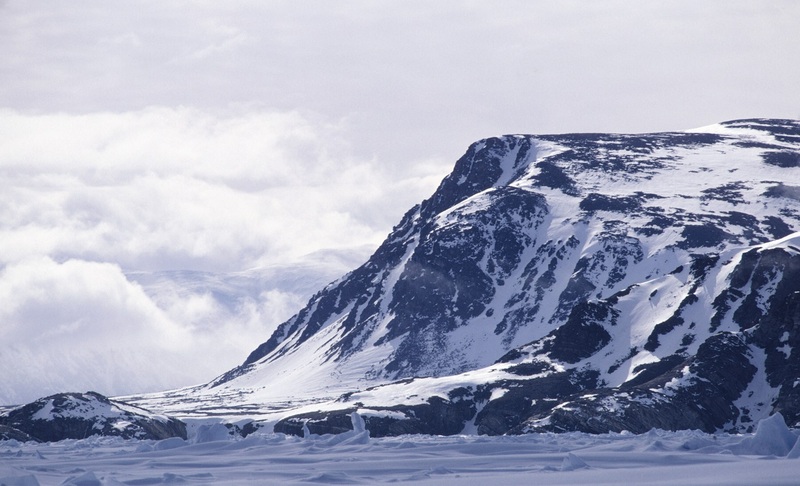 Prince Leopold Island is an important migratory bird sanctuary, home to thick-billed murres, black guillemots, northern fulmars and black-legged kittiwakes. A population of several hundred thousand birds makes this one of the most significant bird sanctuaries in the entire Arctic ecosystem. 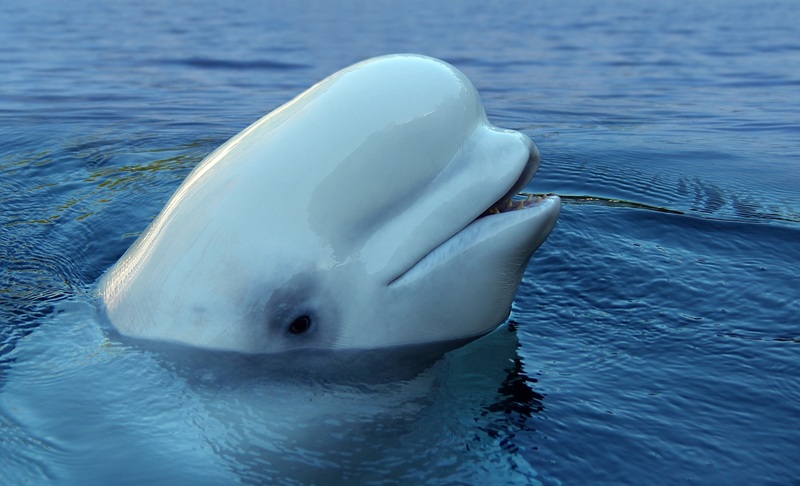 Given the abundance of food found in the nutrient-rich waters here, we often sight beluga, narwhal and bowhead whales, several species of seal, as well as polar bear. Our final shore landing - Beechey Island, is a place of great historic significance and a suitable finale to our voyage. It is here that Sir John Franklin’s ill-fated expedition spent its last ‘comfortable’ winter in 1845 before disappearing into the icy vastness, sparking an incredible series of search expeditions that last almost three decades. The mystery of what happened to Franklin was partially solved in September 2014, when a joint Parks Canada and Royal Canadian Geographic Society expedition found the HMS Erebus in the Victoria Strait. One Ocean Expeditions played a vital role in the discovery by carrying underwater search equipment on our ship as well as scientists, historians, researchers, dignitaries and sponsors. A trip ashore at Beechey Island to visit the grave markers on a remote windswept beach is a thrilling experience for history buffs. This evening we enjoy a special dinner attended by the Captain. It’s a great time to reflect on the wildlife, history and dramatic scenery of the High Arctic. 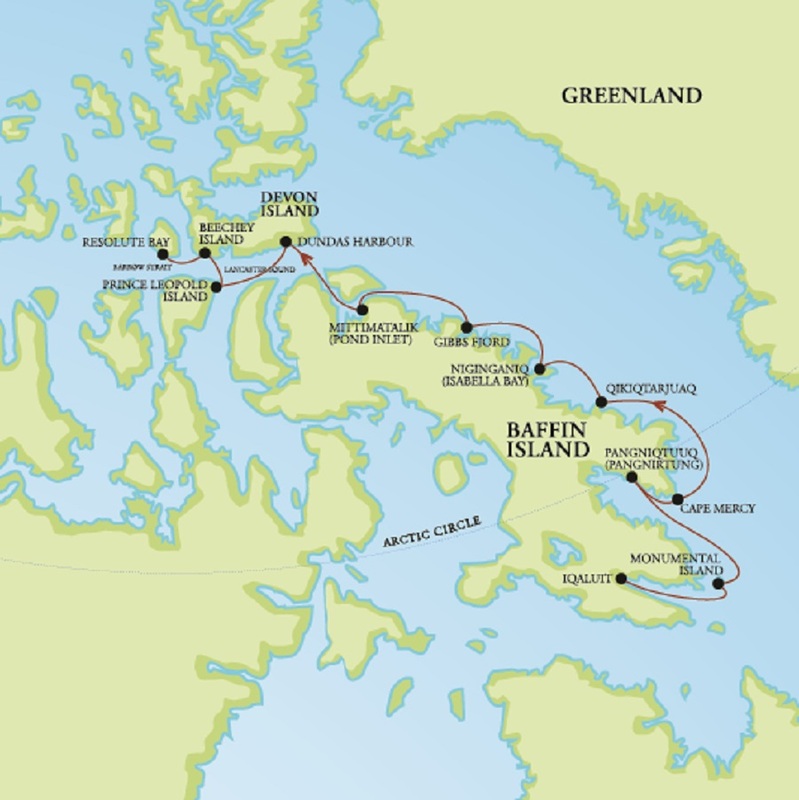 Our expedition comes to an end as we arrive into Resolute and then take our flight to Edmonton. 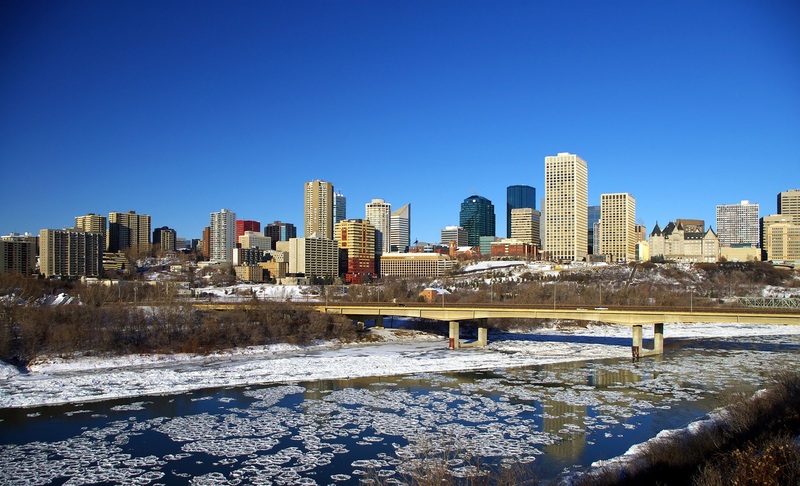 A transfer is provided from the airport into a central downtown location. 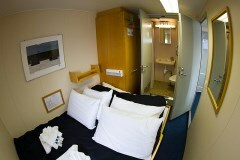 On deck 6, two lower berths, a sofa, a writing desk/chair, wardrobes with internal shelving, ample storage, private facilities, one openable window, toiletry kit, hairdryer, coffee/tea maker, vanity kit, bathrobes, upgraded bed linen and duvets. 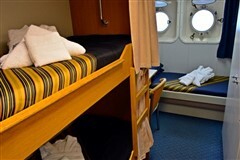 On deck 4 and 5, 1 queen bed, double berth in separate sleeping quarters, a sofa in the main section (can be converted to a bed), a writing desk/chair, a comfortable armchair, fully stocked mini bar, iPad with polar literature, documentaries, movies and webmail access, private facilities, large openable windows. 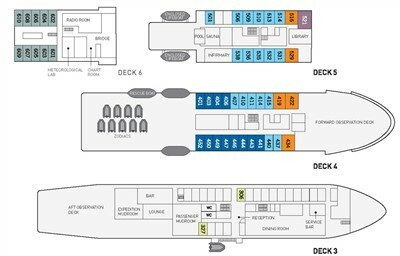 On deck 5, a double berth in separate sleeping quarters, fully stocked mini bar, sofa ( can be converted to a single bed), large writing desk/chair, several armchairs, iPad with polar literature, documentaries, movies, private facilities, shower and bathtub, large openable windows. 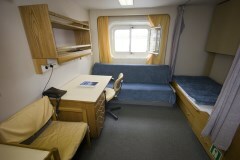 Included in the expedition, you will have free use of essential gears needed for the trip. This package includes quality waterproof/windproof jacket, insulated rubber boots, and a set of binoculars.